House call veterinarian. Happy & healthy pets. 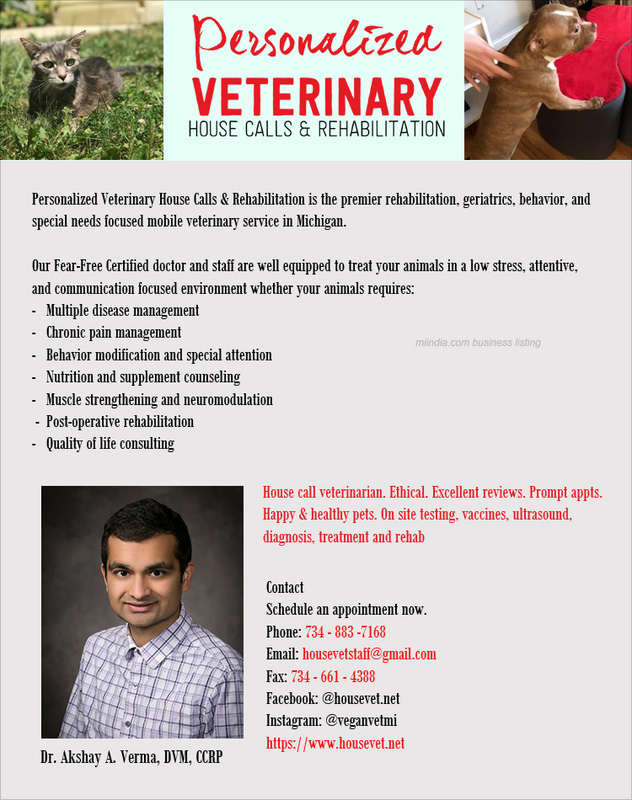 Personalized Veterinary House Calls & Rehabilitation is the premier rehabilitation, geriatrics, behavior, and special needs focused mobile veterinary service in Michigan.